Being a Summer Associate for UPMC has made a tremendous impact on my life! I am so glad to have had this summer experience. 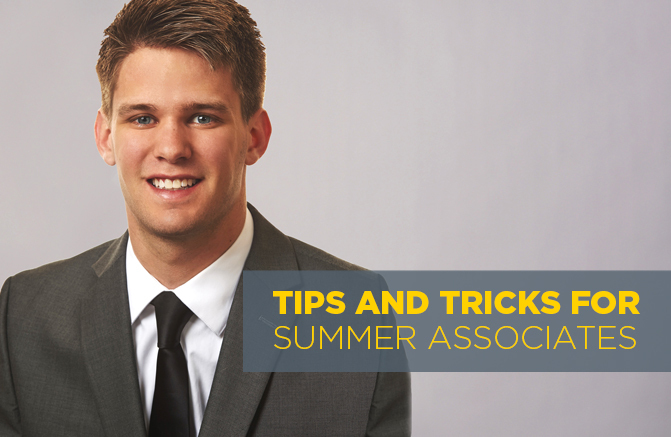 Here are a couple tips for future Summer Associates that might be useful during their time with the company. During the internship, you will need to make several presentations in front of various audiences, including senior executives. Depending on who you are presenting in front of or what topic you are presenting, be sure to ask your boss about appropriate professional wear. Your boss might say business casual, professional, etc. I would recommend clarifying with your boss what he or she actually means by these terms, so that you are both clear on what is expected. Furthermore, before your presentations, make sure you practice. It’s like any sport: practice makes perfect. It’s important to remember not to rehearse too much, because you don’t want to sound rehearsed, but being prepared is always better than not being prepared. Depending on your type of presentation, distributing an outline or handout of the points you will be covering, could also be a good decision.. It is important not to make your outline too detailed because the people in the meeting might pay more attention to the outline than to you. During your presentation, speak clearly, look out to your audience, and try not to look at the screen as you are presenting. At the end of your presentation, make sure to thank everyone for their time and ask if anyone has any questions. Important to note, networking is a major focus of the program. When networking with other business professionals, it is important to be on your best behavior and practice using good manners. When you are meeting someone for the first time, it is important to say your name and give a firm hand shake to the person you are greeting. When talking or networking with another business professional, it is best that you stick to topics that are relevant and appropriate to talk about. Try not to talk about topics that might become awkward or uncomfortable. As always, be yourself, relax and enjoy talking to different employees – they could end up giving you tips for use in the future! HR facilitates several hospital tours for which you can sign up and attend. These are great networking opportunities! The slots for the tour sign-ups go very fast, so make sure you know what you are planning to sign up for. If you and a group of interns want to go together, keep in touch so that you can sign-up together. In addition, sign-up for as many tours as you are able! You might not have the chance again, so it’s important to make the most of these outings. On the job, it is essential to speak up if you don’t understand something. If there is something you are unclear about when working on a project, it is OK for you to ask someone for help, whether that be your boss, a fellow Summer Associate, or anyone else! If you don’t agree with something, you are encouraged to share with your boss or mentor what you feel is the right approach. Speaking up or asking questions gives you the opportunity to show your feelings or present an interpretation that your boss or mentor may not have considered. Sharing your questions and perspectives could lead to a positive difference in the project or initiative you are working on. When attending meetings, it is important to come prepared with a notepad and pen to jot down notes and questions. If you are part of the presentation, make sure you know what is going on and that you can explain things to other people in the meeting, so everyone can be on the same page. If you are not part of the presentation, and instead are just sitting in on the meeting, I would recommend writing down any questions you have so that you can ask them later. Lastly, be courteous of the people who are talking. In conclusion, working for UPMC has been great for me and I am looking forward to seeing what the future has in store for me. I’ve enjoyed being here as a Summer Associate and have learned so many valuable things that I will use in my future career. I hope some of what I shared will be useful to you in your career endeavors. Best of luck!